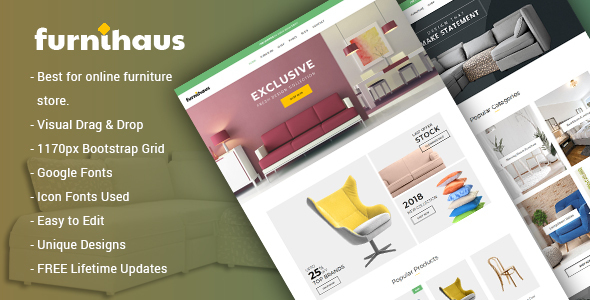 Furnihaus – is a modern Responsive Furniture WooCommerce WordPress Theme for online stores with clean and modern designs. Its suitable for eCommerce site for specially selling furniture and related items. We have included pre-defined layouts for home page to give you best selections in customization. It is based on Twitter Bootstrap, 12 column responsive grid template.